We had a two and a half day stop in Blagoevgrad as the bus had to stop for 45 hours, which allowed for the team on the bus to take part in a very rich and interesting programme. The team arrived in Blagoevgrad on Sunday evening, giving us time for a leisurely stroll around the beautiful town of Blagoevgrad before dinner and preparation for the intensive programme of the next day. 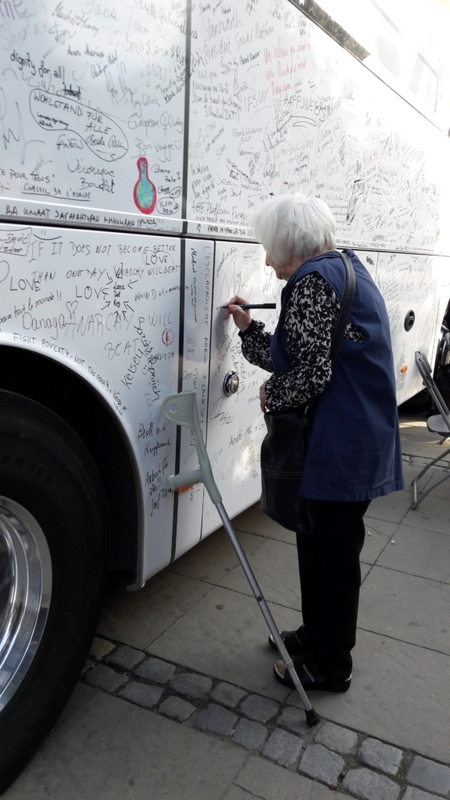 The momentum of the energy from the Macedonian EMIN campaign was carried over the border by Biljana Dukovska – the president of the Macedonian Anti- Poverty Network who joined the EMIN bus as a volunteer. Biljana’s great energy, dynamism and ability to engage with the public in the street campaign proved to be invaluable in our efforts to gain signatures for the petition. Monday began with an event hosted by the Municipality Blagoevgrad, where we were welcomed by Ivan Nikolov, and another wonderful display of local culture in the form of dances and music performed by amazingly talented local youth. Deputy Mayor Nikolov expressed his support for the campaign and stressed that these type of cross country activities are very important for building solidarity in Europe that he sees as an essential prerequisite for the fight against poverty. Deputy Minister Sultanka Petrova – Ministry of Labour and Social Policy in Bulgaria, gave a very enthusiastic and mobilizing speech at the beginning of the event. She has shown great support to the Bulgarian Anti-Poverty Network in the development of the campaign by becoming an ambassador of the EMIN campaign in Bulgaria. She displayed a strong belief that access to adequate minimum income is a fundamental right for people in need and that the EMIN campaign is essential in the work of awareness raising across Europe about the need for social justice. In her view the EMIN tour is a great starting point for ensuring that adequate, accessible and enabling minimum income becomes become reality for all societies in Europe. 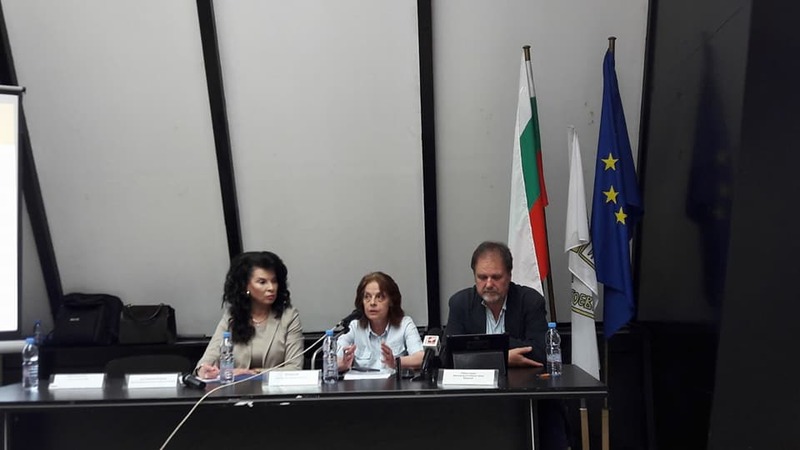 At the debate there were present representatives of the Confederation of Labour Podkrepa, representatives of the local Chamber of Commerce, representatives of local Universities – Blagoevgrad and of local associations. During the happening around the bus, many elderly people struggling to survive in a continuously challenging and changing economic environment called at the bus and shared with us their difficult life stories. Despite the sometimes tragic accounts we felt they displayed great energy in supporting the EMIN campaign by signing the petition and on the bus. On the other hand the younger passersby whether students or young workers were more reluctant in approaching the bus and talking to us.